Here at Master Mazuma, we love the many shapes and sizes that eSports come in. Whether it is a battle arena game taken to tournament level, an arcade fighting title or a first-person shooter, you can be sure that we will have it covered on our eSports betting website. 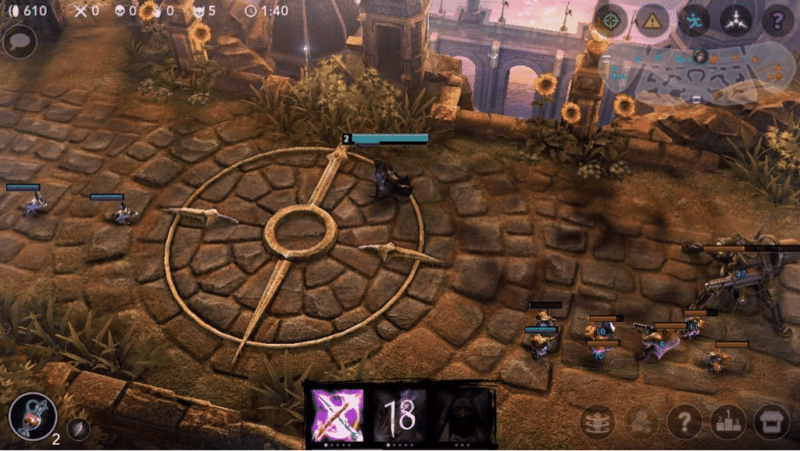 While a huge number of competitions are based on titles which are generally played on PC or console, there is, of course, a place for mobile gaming too in eSports. Games which are available on smartphones and tablets are hugely popular with a variety of people, so it is only right that such titles have a place in this incredible world. One of the most popular mobile titles is undoubtedly Vain Glory, and we’re here to give you the key information you need to know when getting involved in Vain Glory betting. 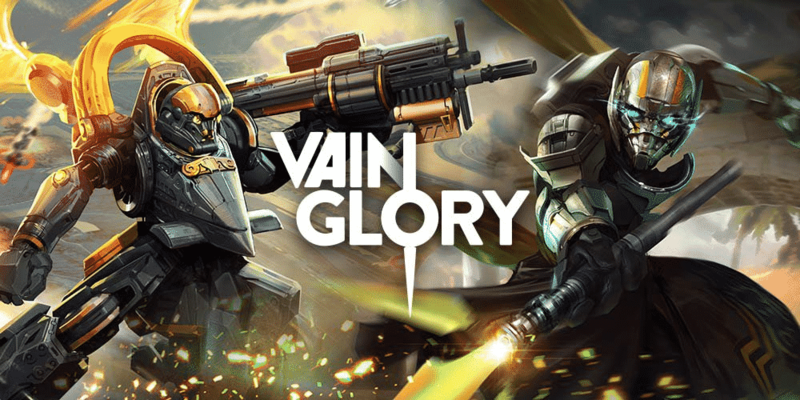 Developed and published by California-based Super Evil Megacorp, Vain Glory was first released in November 2014 for iOS devices before being made available for Android in July 2015. The game is essentially a type of multiplayer online battle arena game – or MOBA – but while others within the genre like Dota 2 and League of Legends are best known as PC titles, this is exclusively for mobile platforms. However, much like rival games, the title is still all about two teams squaring off and trying to destroy the other’s base. While Vain Glory has been popular as an eSport for some time, Super Evil Megacorp only established its official championship structure for the game in the last couple of years. The first-ever World Championships was in fact held by the developer and online broadcaster Twitch in December 2016 at the legendary Chinese Theater in Hollywood. Considering its similarities to some of eSports’ best-known titles like League of Legends, here at Master Mazuma we think it is fairly unsurprising that Vain Glory has proved to be a huge hit with competitors and fans alike. So what are the key points you need to know if you are getting started with Vain Glory betting? Well, the first thing to do is to familiarize yourself with tournament formats and how they tend to work. Rather than going through each and every tournament – there are a lot! – we will take a look at how the Vain Glory World Championships tends to be organised. The competition is essentially the culmination of a full year of gaming action, with 12 teams from across the world earning qualification to the event by winning various tournaments. More specifically, last year’s event featured three teams each from North America and Europe, as well as qualifiers from China, Korea, Japan, South East Asia, South America – and a wildcard. The tournament itself featured a group stage in which teams were divided into groups of three, with the top two after a round robin then proceeding to the knockout stage based on a single elimination format. Quarter-finals were best-of-three, while semi-finals were best-of-five. The grand final itself was a best-of-seven contest. But what are all of the teams competing for? The prize pool for the 2016 World Championships was a total of $120,000, with the winning side receiving $60,000. The rest of the pot is then shared among the other competitors, with each getting an amount depending on their position in the final standings. Now you are aware of the structure of the game’s biggest tournament, it is time to turn your attention to a few other key factors which should help you make informed decisions on Vain Glory betting. One of the best places to start is with getting to know the top teams linked to the game. US side Team SoloMid are the highest earning team involved in Vain Glory at the moment, having scooped more than $52,000 from participation in six tournaments. However, it is interesting to note that they only finished second in 2016’s World Championships, with Korean side Phoenix Armada beating them 4-2 in a hotly contested final. Other names to look out for include the US teams Gankstars Sirius and Hammers Velocity, which both reached the semi-finals stage of the 2016 finals. Top European teams include SNOW Avalanche and Team Secret. You can get to know the teams better by watching them in tournaments held throughout the year and analysing their performance should give you an idea of their strengths, weaknesses and whether they are in form. There are also plenty of performance statistics online related to individual players, so a little bit of research on two teams meeting in an upcoming match could provide some clues as to which way the tie may go. It is also worth remembering though that you should not assume the top sides will always win out. eSports is like any other area of sport, so underdogs can emerge and shocks do happen. Keep tabs on new sides which are causing a stir in competitions and consider whether they have what it takes to be dark horses at tournaments ahead. As well as watching coverage, you should also keep an eye on news related to specific teams. There is often no smoke without fire when it comes to gossip, so rumours of infighting or relationship breakdowns should not be treated lightly. After all, it is not uncommon for behind-the-scenes issues to impact on performance in matches. Finally, make sure you are up to speed on any recent roster changes. If there are any, could they impact on the chemistry of a specific side? Is a team looking stronger thanks to a new recruit or has a key player gone off to join a major rival? While there are, of course, no guarantees of Vain Glory betting success, all of the above tips could make a huge difference to your efforts to develop a strategy and will at least mean you can make informed decisions on where to put your money. For more information and the latest odds on Vain Glory betting, head across to our specialist pages. Don’t forget that we offer a bet 5 get 10 bonus at Master Mazuma, which can get you started on Vain Glory and other eSports betting.